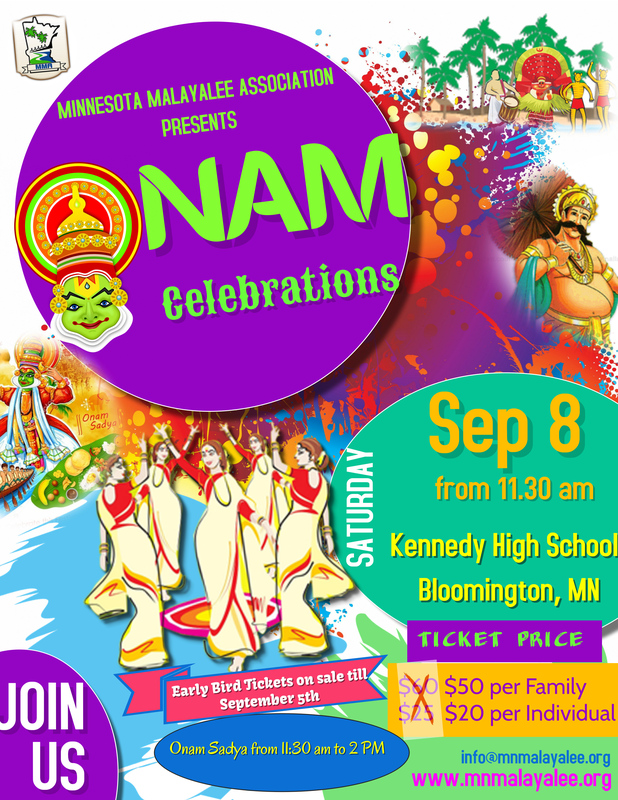 MMA welcomes everyone for Onam Celebrations. This is our flagship event of the year and encourage everyone to join and make the event success. Like last year, we are planning to have our delicious Onam Sadya from 11:30 Am to 2 Pm.